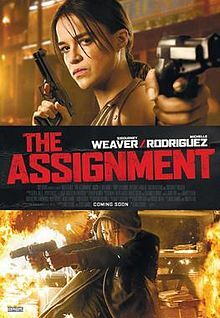 Continuing my spotlight on a handful of the regarded worst films from 2017, today I’m going to take on Walter Hill’s The Assignment. After waking up and discovering that he has undergone gender reassignment surgery, an assassin seeks to find the doctor responsible. 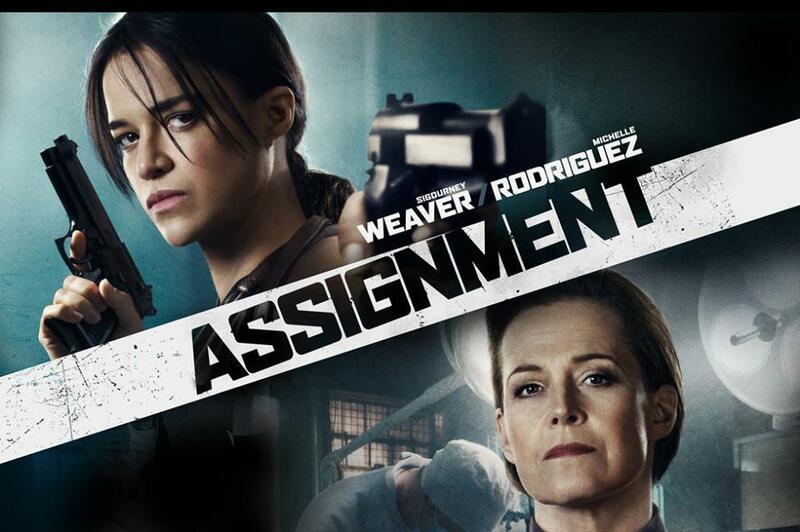 The central cast of The Assignment includes Sigourney Weaver (Alien, Aliens, Alien 3, Avatar, The Cabin In The Woods, Ghostbusters), Michelle Rodriguez (Avatar, The Fast & The Furious, BloodRayne, Resident Evil), and Tony Shaloub (Monk, Men In Black, Wings). The Assignment was directed and co-written by Walter Hill, a well-regarded action icon whose writing and directing credits include influential films like The Driver, The Warriors, and 48 Hours, as well as less-than-memorable films like Bullet To The Head and Red Heat. Hill’s co-writer for the movie was Denis Hamill, who notably wrote the Richard Pryor movie Critical Condition and Bob Clark’s Turk 182!. The editor for the film was Phil Norden, who cut a couple of episodes of the miniseries Broken Trail as well as a handful of small independent movies, like Blood Shed and The Martial Arts Kid. The cinematographer for The Assignment was James Liston, who has shot numerous episodes of the current Supergirl television show, as well as films like Wrecked and Severed. Two people are credited for the music in The Assignment: Giorgio Moroder, who is known for movies like Scarface, Flashdance, Over the Top, Cat People, Midnight Express, and a popular re-scoring of Metropolis, and Raney Shockne, who has primarily worked on TV shows like Queen of the South, Kevin Can Wait, Jersey Shore, Real World, and Project Runway. The screenplay for The Assignment dates back to 1978, when Denis Hamill wrote the first draft. 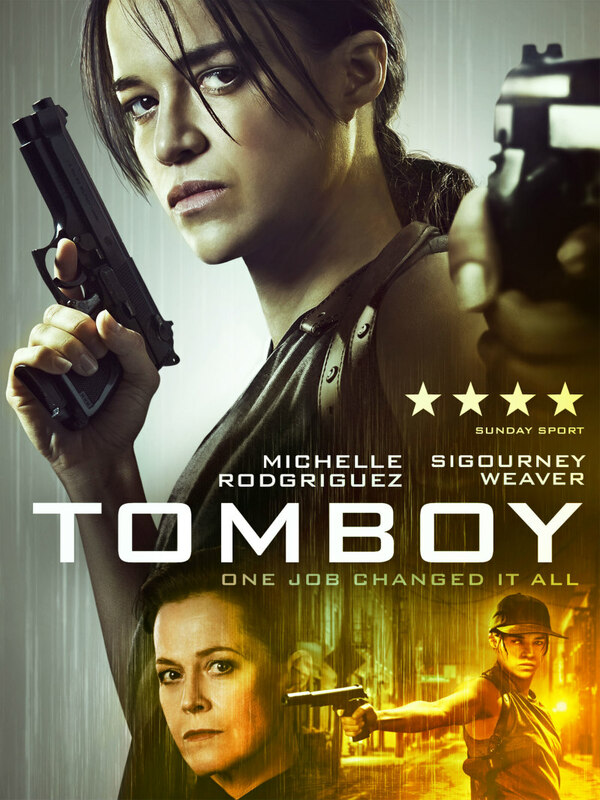 At that point, it was under the working title Tomboy, which it held almost until its release. Walter Hill was initially drawn to it because he “liked its audacity, and its potential to be … a kind of really terrific B movie.” Hill optioned it in the 1980s, but wasn’t able to put it to film for decades. However, at one point, Hill adapted it into a graphic novel, though it never saw release. Once funding came through to make a movie from the screenplay, he dropped the idea of releasing it as a graphic novel. After a poor initial showing at the Toronto International Film Festival in 2016, The Assignment received only a limited theatrical run in 2017, which grossed just over $200,000. I wasn’t able to find a production budget number for the movie, but I greatly suspect that the film failed to break even from the theatrical release. However, its primary release platform was video on demand, and it is hard to say what sort of income streaming brought in. The reception to the movie, however, was clear: it currently holds Rotten Tomatoes scores of 31% from critics and 20% from audiences, alongside an IMDb user rating of 4.5/10. a modestly scaled B-movie by one of the best genre filmmakers of our time, Walter Hill, that has enough skill and personality going for it to make it worth checking out, even if it doesn’t quite live up (or down, depending on your perspective) to its borderline sleazy premise. To begin with, I agree with Sobczynski that The Assignment doesn’t live up to its undeniably unique premise, though I definitely didn’t like it as much as he did. It just doesn’t do much with a really outlandish foundation, which might have made for a bizarre, over-the-top action movie. 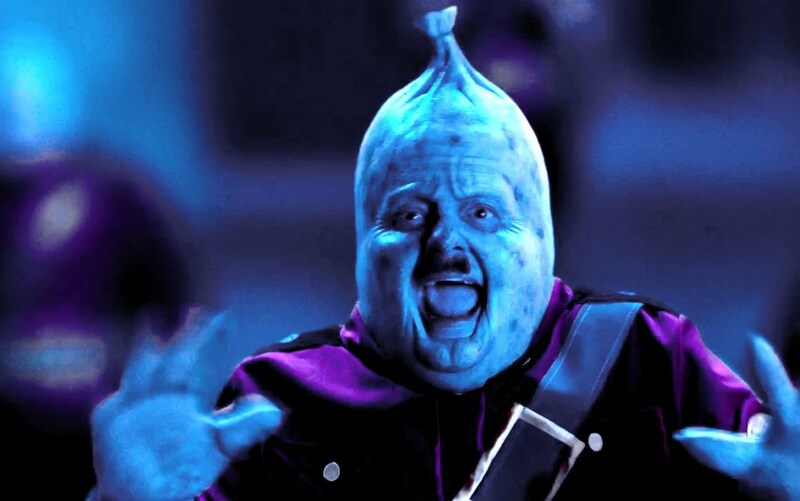 Instead, it is bloated and plodding, which isn’t helped by some really rough screenwriting. The Assignment is, if nothing else, gimmicky in conception. Normally, gimmicks are pretty harmless, and sometimes border on ingenious. However, when dealing with a highly marginalized population and social issue as a plot device, I just don’t think it works: it comes off as an unpleasant mix of pandering to the zeitgeist, as well as skirting around reinforcing dangerous misconceptions and stereotypes. So, in this case, as much as the concept is original, I’m not sure if it can actually earn points for that. At the same time, the movie is way less insensitive than I had expected: as Hill stated in his interview, it isn’t a movie about trans people, and doesn’t delve into the issue: it is simply a revenge story, with a re-assignment surgery as a plot element. Still, the movie comes off as immensely tone deaf, and bordering on exploitative. On top of that, the movie makes the reassignment surgery itself seem kind of minor: the lead character recovers incredibly quickly, which debatably trivializes an incredibly dangerous operation. In the grand scheme of things, though, the movie could certainly done a lot worse than that. From a film-making standpoint, this movie is exceptionally terrible. The editing and transitions are the worst I have seen since going through the IMDb Bottom 100, and stick out immensely from the rest of the movie. From what I can gather, a lot of these transitions were vestigial elements left over from the story’s translation to graphic novel, and back into screenplay form. On the whole, the jarring, cartoonish transitions contribute to a movie plagued across the board by an uneven tone, varying from dark revenge drama to some oddly-placed and poorly-executed comedic moments. One of the most cringe-inducing elements of The Assignment is the dialogue. While it is never good, I found the writing for Weaver’s character to be particularly abysmal, almost as if it was lifted in total from the subreddit r/IAmVerySmart, However, Weaver does her absolute damnedest with dialogue that sounds like an 11-year-old imitating what they thing a smart person sounds like, and seems to have a blast with the scenery-chewing as a result. Another big issue with The Assignment is the comic book stylizing, which pops up in a number of sequences. At this point, even comic book movies have left this technique behind: it would have been more appropriate 10 years ago, and the movie feels even more out of touch for using it. Again, I think this is a vestige from its brief life as a graphic novel, which Hill seems to have been pretty intrigued by. However, as with the transitions, it just doesn’t look right on screen. Sin City was an exception to the rule, but it seems like it is taking a long time for folks behind the scenes to figure that out. the early scenes in which [Rodriguez] portrays the male version of Frank, complete with a wildly unconvincing beard and a lingering close-up of his genitalia for good measure, do inspire a few bad laughs right when the film is trying to establish itself. For some viewers, it may never recover from that. Overall, The Assignment is at most a temporary curiosity in the movie world: a b-movie trying to capitalize on something that was perceived to be part of the zeitgeist. However, it might have actually benefited from leaning in more, and actually getting into the politics and social issues related to trans folks. 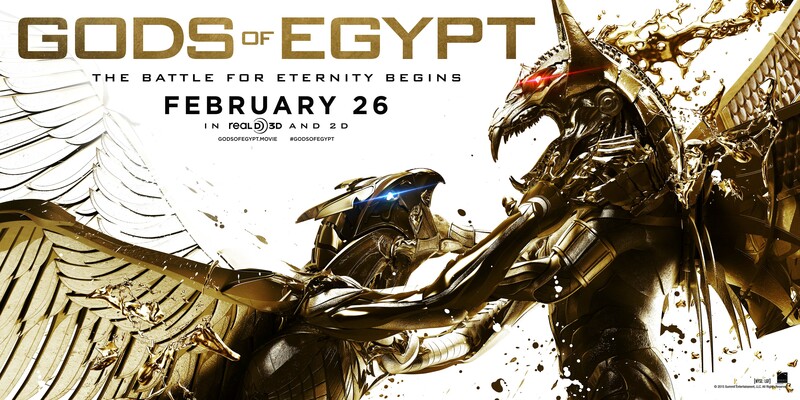 It could still be a cool action movie, and balance that with social critique. However, instead, it is a boring action movie with nothing to say. The biggest takeaway of this movie, in my opinion, is that Walter Hill has passed his expiration date, and should probably take a seat. As for a recommendation, there’s a lot here that could serve as a negative example: basically, it is an exemplar of what not to do, on a number of levels. For entertainment purposes, though, you should absolutely skip this one. Howdy loyal followers! We’ve had quite a year, haven’t we? With 2016 coming to a welcome close, I wanted to appropriately slam the door in its back with a quick rundown of the publicly perceived worst films of the year. We all know that opinion is subjective, so I want to re-emphasize that this is a list I generated based on public perception. Basically, I took 14 currently published year-end “Worst of 2016” lists, then tallied up how often each film was listed. I thought that would be pretty simple and data-driven way to make my list. Unfortunately, I was very, very wrong about that first part. Between the handful of lists I initially pulled, I wound up with nearly 100 films, which included some obviously contentious, contrarian picks like Hell or High Water, Rogue One, and Captain Fantastic. For the sake of brevity, I’m only listing out movies here that appeared on more than 2 lists, but if you want to see the final version of my working document with all of the tallies and the sources used, you can find it here. Interestingly, there was far from a consensus pick for the worst picture of 2016: the most consistently reviled movie was only on 10/14 rankings. For the fraction-impaired, that means that just under 72% of the lists I pulled had it present at all, let alone at #1. Are there any movies that you expected to see that didn’t make the cut?